It seems nowadays the “Communist” in Communist China doesn’t mean much any more. This supposedly “Maoist” party has fallen far from the ideals of Chairman Mao Zedong and has let China fall into the trap of a market economy. Ever since Deng Xiaoping assumed power in 1978, many Maoist policies have been discarded in favor of economic reforms favoring a capitalistic system. 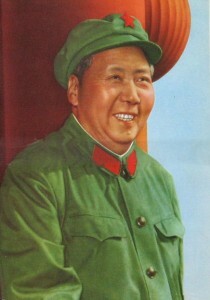 In China, Mao is seen as a great revolutionary, political strategist, military genius, and savior of the nation. His policies laid the economic, technological and cultural foundations of modern China, transforming the country from a third-world agrarian society into the world power it has become today. Unfortunately, these very policies that brought China onto the world stage have been abandoned. The consequences of a market system will surely be disastrous and continue to undermine the Chinese worker. In light of the state of affairs, the RCPC advocates for another revolution of the proletariat in China to revive the ideals of Mao and true communism. We encourage the reading of The Little Red Book which luckily is widely available. Without a revival we fear the workers of China will be even more oppressed and the country will surely fall into a state of ruin. Either through the current leadership of Hu Jintao or a new champion of the working class, China must return to its communist roots and reclaim the grand legacy of Mao Zedong.